*Please note the change of location. The FMI Halifax Chapter's next event will be held on Wednesday, March 6, 2019. The informative professional development session is entitled "The Cyber Threat Landscape" presented by Peter Morin, Director in KPMG's Risk Consulting - Cyber Security. (see Peter's bio below) Registration will begin at 8:30 a.m. and a continental breakfast will be provided. Sign up before March 1st, 2019! What does the cyber threat landscape mean to your organization? Protecting business assets and reputation against the backdrop of an increasingly dangerous cyber threat landscape should be on everyone's radar. We have seen destructive breaches at well-known institutions such as Yahoo, Uber, Target, Sony, Anthem and most recently Equifax which have shown us that no matter the brand, business, or size, no one is immune. Understand the current threat landscape-who, why and what are attackers targeting? Discuss the key trends and drivers of cyber security-consumerization, emerging trends, and regulatory and compliance pressures. Discuss some of the gaps that led to many well-known breaches and how to prepare your organization in the event of a breach. Understanding your organization's top cyber security priorities while appropriately managing the impact to the business. Peter Morin is a Director in KPMG's Risk Consulting - Cyber Security practice. He is a senior cyber security professional with over 20 years of experience focusing on information security risk management, cyber threat incident response, threat hunting, malware analysis, and computer forensics. Peter has worked in senior positions for a number of organizations, including a national telecommunications and media company, Fortune 500 cloud-computing company, a recognized cyber security software company and a major US defense contractor. Peter holds a number of designations including the CISSP, CISA, CRISC, CGEIT as well as a number of SANS GIAC certifications. Peter has presented at numerous events held by the FBI, US Department of Homeland Security, HTCIA, PMI, SANS, and ISACA. Peter is also a frequent guest lecturer at numerous colleges and universities throughout North America. *Please note the change of location below. To help defray the cost of parking, the cost for this session is only $65 which includes a continental breakfast and entitles registrants to a complimentary annual membership with FMI National. All sessions qualify for three (3) CPD credits. Space is limited, so register early to avoid disappointment at www.fmi-igf.ca. Deadline for registration is Friday, March 1, 2019. Looking forward to seeing you on March 6th! Sign up before January 18, 2019! Mr. Pickup is in year 5 of his 10-year term as Auditor General of Nova Scotia. He leads an Office which reports to the Nova Scotia Legislature approximately four times a year on financial and performance audits. He and his team deliver roughly ten performance audits a year, as well as audits of the Province's financial statements and selected government organizations. Prior to his current appointment, Mr. Pickup spent nearly a quarter of a century working at the Office of the Auditor General of Canada both in Ottawa and in a regional office. He was responsible for numerous financial and performance audits with a focus on financial management and control. He also taught at Carleton University and the University of Ottawa as a part-time professor on many occasions. The Auditor General is a Chartered Professional Accountant (CPA), Chartered Accountant (CA) and will become a FCPA, FCA effective November 3, 2018. Mr. Pickup currently serves on CPA Canada's Audit and Assurance Standards Board as 1 of its 14 voting members. This Board sets professional standards for auditors across Canada in both the private and public sectors. Prior to this he served on the Public Sector Accounting Board Task Force that defined generally accepted accounting principles for the public sector. In his free time, Mr. Pickup became a self-published author in late July 2018 with his first book titled "Nan-Made: How a Grandmother Made a Man". This first book is a collection of 25 short stories honouring his recently deceased grandmother. The book has found commercial success and has spent many days in August 2018 as a Number 1 Best Seller on Amazon Canada in its classification and has also made the top 100 Best Seller books on Amazon for self-help books with hundreds of thousands of titles available. Mr. Pickup has also done a number of television, radio, and print media interviews on this book and his journey. This professional development session is equivalent to three (3) PD credits. Space is limited, so register early to avoid disappointment at www.fmi-igf.ca. Deadline for registration is Friday, January 18, 2019. Looking forward to seeing you on January 23! or 902-897-8920 to provide their contact information for the complimentary "Bring a Friend" registration. Sign up before November 30, 2018! Becoming a More Senior Leader? Stepping up to more senior leadership roles in an organization often means doing less of what you're good at and best known for, and more of what's needed now. Which usually means being a more strategic leader and enabling the growth and success of those you lead, for starters. And, it often means a far more fundamental shift in your identity, as you move from 'subject matter expert' to 'organizational leader.' What might it mean for you? In this engaging and interactive workshop led by leadership effectiveness coach Michelle Lane, you'll have an opportunity to explore the question of leadership identity and interpersonal communications at more senior levels and consider what it means for you - regardless of where you are in your evolution as a leader. The approach will be thought-provoking, interactive and applied, with time for personal reflection as well as shared learning. Participants will also have an opportunity to practice a few simple techniques designed to enhance their effectiveness at all levels of leadership. 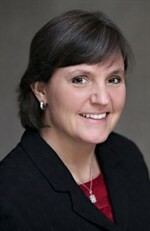 Michelle Lane, CPCC is a leadership effectiveness consultant, facilitator and coach. She works with emerging, evolving and established leaders and professionals who want to be more effective and build stronger, higher-performing teams and organizations. Michelle helps her clients discover and develop the clarity, competence and confidence they need to be more effective; build their capacity for more strategic and complex leadership; and create the conditions for success in the organizations in which they lead. She has more than 35' years diverse business leadership experience in the public, private and not-for-profit sectors. Connect with Michelle on Linked In or learn more here: www.vibrantleaders.ca. Space is limited, so register early to avoid disappointment at www.fmi-igf.ca. Deadline for registration is Friday, November 30, 2018. Looking forward to seeing you on December 5! Many companies in Canada are focused on developing SaaS (Software as a Service) businesses, but SimplyCast decided instead to develop a PaaS (Platform as a Service) business where the team could create many SaaS solutions under the same platform. This approach has a 97% chance of failure compared to small, singularly focused technology businesses. SimplyCast has grown to become a global provider of multi-channel automation capabilities and now has clients in over 175 countries. SimplyCast was and continues to be proudly 100% Nova Scotian-owned and has had no external funding other than from ACOA and IRAP. SimplyCast has had plans from the beginning to go IPO and has been working very hard over the past nine years to develop the internal processes and guidance to support this objective. Saeed El-Darahali, MBA, BSc, CHR, is the president and CEO of SimplyCast, a leading provider of multi-channel communication services that empower organizations to create, manage, and track their campaigns. Under Saeed's leadership, SimplyCast was awarded the 2017 Consumer Choice Award for Digital Online Marketing, the Game Changer Award for Best Youth Employer, and two bronze 2016 Halifax Business Awards (Business of the Year and Innovative Business of the Year). Saeed was the 2016 bronze recipient of Business Person of the Year. Saeed volunteers on the Black Business Board, Immigration Services Association of Nova Scotia, Halifax Chamber of Commerce, Between the Bridges, Sobey's School Business Advisory Board, EduNova, Women of Excellence Awards, and One NS Coalition. Saeed is also an advisor with the Federal Innovation Round Table. Saeed has spoken at many conferences including NAWeb, CABI, 7th World Congress of e-Business, Enterprise Atlantic, ARCN, IEEE Young Professional Seminars, and was the guest speaker at Saint Mary's University's convocation in Jan '17. He was also a part-time lecturer at Saint Mary's, teaching a computer information systems course. Saeed is an alumni, coach, and supporter of Junior Achievement Nova Scotia as well as a mentor for various organizations including The Canadian Youth Business Foundation, The Entrepreneurs with Disabilities Network, Bank of Canada - High Growth ICT Business Consultation, Government of Canada - Pre-Budget Consultation. Saeed was also a board member for Startup Halifax, a celebrity judge with Junior Achievement of Nova Scotia, a guest speaker on Eastlink TV, and the 41st speak at the Annual Sobey school of Business Commerce Society Dinner. Surita Maddox became the Innovation Science and Economic Development (ISED) Atlantic Regional Executive Director in January 2018. This new appointment is in many ways a return home for Surita who was born and raised in Newfoundland and Labrador, and who has spent more than 17 years working at ISED. Surita first joined the public sector in 2000 as a commerce officer with Industry Canada, ISED's predecessor department. Since then, she's held various policy and program positions with increasing responsibilities within the department, including: Senior Advisor to the Assistant Deputy Minister, Industry Sector; District Director, Spectrum Management; Deputy Executive Director, Atlantic Region; and A/Senior Director with the Industrial Technologies Office. Surita recently returned to the Department fromInfrastructure Canada where she worked as the Senior Director of the Canada Infrastructure Bank Transition Office. She holds a Bachelor of Science from St. Francis Xavier University, and a Masters in Business Administration from Memorial University of Newfoundland. During her off time, Surita enjoys yoga, running and taking spin classes, as well as traveling to Newfoundland to spend quality time with her family. 1. Be able to link objectives, fraud risks and controls. 2. Be able to apply approaches and tools to better use data analysis for continuous monitoring and the assessment and management of fraud risk. 3. Know the key steps to identifying and assessing red flags of fraud. 4. Understand how to identify the required data and the necessary analytics. 5. Know more than 60 analytical test you can run to assess fraud risk. Note: the course will use ACL and SAP data for all demos; however, the tools and techniques are applicable to all analytics software and financial systems. You will hear presentations from Joyce Carter, President and Chief Executive Officer of the Halifax International Airport Authority (HIAA) and Anne-Marie Gammon, President and Chief Executive Officer of CPA Atlantic School of Business. Joyce Carter's session is entitled "Effecting Change Through Collaboration". Halifax Stanfield International Airport is managed and developed by Halifax International Airport Authority. The airport is worth over $2.8 billion annually to the Nova Scotia economy, and employs over 5,600 workers. It is a catalyst for economic and social growth in the region, and has significant plans for growth. So much of what it does enables growth, through tourism, trade, economic prosperity, immigration, and business to business connections. Hear from President & CEO Joyce Carter on how a collaborative leadership style is key. Anne-Marie Gammon's session is entitled "Resilience and Women in Leadership". Innovation. Disruption. An increasingly complex world. More than ever, resilience matters. This interactive session explores the resilience of women in leadership. Resilience will be defined as a critical leadership trait and how it is borne from trials and tribulations. We will then explore how resilience can be developed and sustained individually and organizationally as we adapt to the constant challenges of contemporary leadership. Joyce Carter is President and Chief Executive Officer of Halifax International Airport Authority (HIAA). Joyce joined HIAA in 1999, and since then she has been integral in HIAA's growth and development, becoming Chief Financial Officer in 2006, Chief Strategy Officer in 2008, and President & CEO in 2014. Joyce is a Board Member of the Canadian Airports Council and is Chair of their Large Airports Caucus and Governance Committee. In 2016, she was appointed President of the Board of Directors for the Atlantic Canada Airports Association, and to the Board of Directors of the Airports Council International (ACI) World Governing Board. She is past Chairwoman of the Halifax Gateway Council, a public/private group formed to pursue multi-modal transportation opportunities in the region, and served as a Board Member of the Board of Trustees of the Mental Health Foundation of Nova Scotia for nine years. She serves as a member of Dalhousie University's Board of Governors and is Chair of the Finance, Audit, Investment and Risk Committee, and a member of their Executive Committee, and is Vice Chair of the Board of Directors of the Waterfront Development Corporation Ltd.
Joyce has a Bachelor of Commerce degree from Saint Mary's University and is a graduate of the Institute of Chartered Accountants of Nova Scotia. In 2012, Joyce was awarded the prestigious designation of Fellow Chartered Accountant (FCA). She obtained the Institute of Corporate Directors (ICD.D) designation in 2015, and in 2017 was named one of Atlantic Canada's Top 50 CEO's by Atlantic Business Magazine. Anne-Marie Gammon, MBA, FCPA, FCMA is the President & Chief Executive Officer of CPA Atlantic School of Business. Bringing over 25 years of senior financial management experience within diverse industries, including education, real estate, automotive, aerospace and oil, Anne-Marie is also the past Director, Education Services with the Chartered Professional Accountants of Canada, Vice-President, Program Development for CMA Canada, and was previously Vice-President, Financial Reporting for ING Real Estate Canada. An experienced educator with over 20 years of experience, Anne-Marie has served as past co-Chair of the national CPA Certification Steering Committee established to develop the new national accounting education program. Actively involved in her community as a volunteer, Anne-Marie is the Past-President of Financial Executives International Canada - Atlantic Chapter. She is also Past President of CMA Nova Scotia, past Chair of the CMA Canada Research Foundation and past Vice-President, At Large with the Canadian Academic Accounting Association. A chartered professional accountant, Anne-Marie has a BBA from the University of New Brunswick and subsequently received her CMA designation in New Brunswick in 1990. She was awarded the Fellow of the Society of Management Accountants' designation in 2003 followed by the Fellow of the Chartered Professional Accountants of Nova Scotia. Anne-Marie received her Master of Business Administration from Edinburgh Business School in 2012 and is currently pursuing part-time doctoral studies there. Anne-Marie resides in Bedford, Nova Scotia with her husband, Blake, and son, Jonathan. Everyday we face ethical decisions in our work lives and our home lives. As a country that values diversity, ethical decisions can be more complicated. In a world of increasing polarization, these decisions become more important. This discussion will introduce some of the broader concepts of ethics and diversity while asking some provocative questions. Martha works in the Internal Audit Department of the British Columbia Investment Management Corporation (bcIMC), a change of pace from her past 17 years working for the BC public service. Martha is currently responsible for providing both audit and advisory services throughout the organization, based on the current Audit Plan. Martha brought a significant amount of experience to her new role at bcIMC. She previously worked in a variety of different roles across many different sectors of the BC Government. Starting in Internal Audit and Advisory Services with the Ministry of Finance, Martha gained a great deal of knowledge of the government's financial processes and controls. She was able to continue her skills development in a number of different leadership roles. Martha has been a dedicated member of the FMI Victoria Chapter. She filled the roles of program director, vice-president and president before she was elected as vice-president (2015-16) and president (2016-17) of the fmi*igf National Board of Directors. When she is not at work, Martha loves to spend time with her family. If she and her husband are not out golfing, she can be found cavorting with her daughters or hiking some of Vancouver Island's beautiful trails. In today's fast paced global market that relies heavily on people interacting with technology to achieve results we can easily lose focus that everything is still a process. Dale's presentation will centre on understanding the short history of Lean in the public sector versus a lengthy run in private enterprise and how this is not a bad thing. He will also delve into the misconceptions, paradigms, and stigmas attached to full Lean deployments and how organizations can appropriately move past them in a timely manner to acheive true operational excellence. Dale's story telling manner with bring to life, using real case studies, a practical approach to transforming any organization to becoming world class. Dale is a Director with KPMG's Strategy and Operations practice. With 25 years of experience, Dale has worked extensively within both public and private sectors across Canada concentrating on organizational change and design. His focus is engaging staff to achieve results through the use of process and quality improvement methodologies. While working with the Saskatchewan Health system and creating the provincial quality program, for this effort, Dale and his team were awarded the Lieutenant Governor's Award. He also is responsible for helping three manufacturing facilities achieve the prestigious Industry Weeks Top Ten award. Prior to KPMG, Dale founded Learning to See Consulting, a boutique consultancy firm focused exclusively on process improvement in private and government based organizations. Dale also has over 70 published articles on quality improvement and implementation in numerous sectors and is a regular presenter at municipal conferences across Canada and the USA.